What are the best vegetables for dieting? We all know that fresh vegetables should be an integral part of any healthy diet. That’s great in theory, but where do you start? Are all vegetables equally good for you? If you go into the grocery store, you may find an overwhelming number of choices, many of which you might not have any clue what to do with. Let’s find out which particular low-calorie vegetables pack the most nutritional punch and see how you can include them in your daily healthy eating plan. Vegetables are naturally low in calories, making it possible (and a good idea!) to consume them in larger amounts. You can fill up on veggies without wondering if you are packing on unwanted pounds for doing so. Most serving sizes for vegetables are about 1 cup, or 100 grams. You can eat 100 grams of celery and only be consuming 8 calories! Most tomatoes carry just 18 calories, and sweet corn will give you about 23 calories per 100 grams. Starchy vegetables such as yams run on the high end of about 110 calories per cup, but even yams are still very low in calories compared to 1 cup of most other processed foods you may choose. There are many websites available on the internet that can give you the calorie content of any vegetable that you would ever want to know about. Just so you know, other veggies with very low calorie counts are asparagus, broccoli, carrot, pumpkin, spinach, and mushrooms, all with less than 40 calories per serving. The great thing about the best vegetables for dieting is that you can change your thinking from, “I know I shouldn’t be eating this” to, “I can eat as much as I want of this!”. You never have to feel like you are depriving yourself. Why are vegetables such an important food for dieting? Vegetables are a powerhouse food. Most vegetables hold a lot of vitamins and minerals, contain a lot of anti-oxidants, are a great source of natural fibre, have a high water content, and you get all of these benefits with very little fat or calories. The fact that the best vegetables for dieting contain a lot of vitamins and minerals is very important for maintaining your health while you're losing weight. A lot of times food cravings come from a deficiency of a vitamin or a mineral, and your body goes desperately looking to fulfill that lack anywhere it can. That's often when you end up reaching for a quick fix in the form of a processed food. By making sure you are giving your body what it needs in terms of vitamins and minerals from the best vegetables for dieting, over time you will find that you may have fewer and fewer cravings because your body is happy and content. It is important to note that many studies show that organically grown vegetables can contain as much as 3 times the nutrients as conventionally grown ones, so when you have the choice, choose organic produce! Different vegetables contain different vitamins and minerals, but a good rule of thumb is to consume as many different colored veggies as possible. Try to eat leafy greens, yellow peppers, orange carrots, purple beans or peppers, white cauliflower – each has its own benefit. All veggies have something to offer, and any healthy diet will contain as many different types of vegetables as possible. But the following 10 powerhouse veggies are ones that should come up a lot in your diet! Capsicums/Red peppers are an incredible source of vitamin C and antioxidants. Some think that through consistent use of them, you can enjoy a reduced risk of heart disease. Sweet Potatoes are a great at offering us iron, calcium, and lots of fibre. They also pack quite the anti-oxidant punch. Their naturally sweet taste can help you overcome some sugar cravings, as they can teach you to learn to enjoy naturally sweet food. Broccoli is one of the best vegetables for dieting as it has very high levels of folic acid, calcium, and vitamin C.
Spinach is an essential vegetable for anyone with arthritis, heart disease, or osteoporosis, as it has been shown to help these conditions. Spinach actually contains quite a bit of calcium and iron, and has 13 flavonoid compounds. Onions can help lower blood sugar and can contribute to overall better gastrointestinal health. Carrots are a vegetable superstar. They are one of the world’s best sources of vitamin A carotenes, which help with vision. Carrots, along with onions, are good at helping to regulate blood sugar levels. 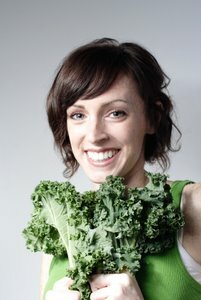 Kale is a great detoxifier and blood cleanser. Kale also contains many anti-oxidants, and specifically works to help keep the lungs healthy. Cauliflower is incredibly low in calories so is great for those trying to lose weight. It is linked with lower rates of cancer, heart disease and stroke, and can help regulate blood pressure. Cucumbers may seem like a bunch of water, but actually have a strong effect on the ligaments, bones, and muscles. The high water content in cucumbers along with its soothing properties can help to clear up some skin issues. Asparagus contains lots of fibre, potassium, and vitamin B6. It has high levels of folate, which is great for pregnant women and also promotes heart health. The fibre that inherently comes in many vegetables is important for dieting, because it helps give you the impression that you are full. This will keep you from overeating. Fibre also helps to keep the intestinal track moving along and cleaned out. By adding more fibre into your diet through increasing your intake of vegetables, you may find that you feel less bloated and have fewer digestive issues. A clean, constantly moving digestive system is also known to reduce your risk of colon cancer, because you are not giving toxins time to fester in your intestines. Most of the best vegetables for dieting contain a high amount of water, which also is important for keeping your system both hydrated and flushed out. You may know that it is good for your body to consume a lot of fluids during the day, but you either forget or you just have a hard time chugging water throughout the day. Making sure you get enough veggies is a great way to also make sure that your body is getting some of the fluids that it needs. Just think about it – if what we eat becomes the building blocks of our body, and our body is mostly made up of water, doesn’t it make sense to consume foods high in water? Tomatoes, green peppers, spinach, watercress, swiss chard, celery, and broccoli all contain more than 90% water, so make sure that you are including these generously into your healthy eating plan. Vegetables Don’t Have to be Boring! For some people, the idea of eating a healthy diet that includes a lot of vegetables seems to be a very boring, ho-hum option. In all honesty, most people get in a rut and only consume about 4-5 different vegetables, and usually basics like carrots and tomatoes. I bet you have no idea the wonderful world of vegetables that awaits you! There is no reason to be bored with the best vegetables for dieting ever! If you are used to eating spinach, try some kale or chard instead. For the more adventurous of you, go harvest some wild dandelion greens or clover leaves for a great health food that is free, and make a great salad from them (make sure you take them from a place that hasn’t been sprayed with pesticides or chemicals). If you like tomatoes, you may be able to name off a few different varieties like roma or cherry. But did you know that if you look around, maybe at your local farmers market in the summer, that you can buy heirloom tomatoes that come in beautiful shades of reds, oranges, yellows, purples, greens, striped, swirled…and all with their own unique flavor? And green beans don’t just come in green! I have seen purple beans, yellow beans, even white and purple striped beans. Looking into a local CSA (short for community supported agriculture) or asking at your local health food store is the best place to start for finding some more off-the-wall veggie choices to keep you interested. Make a point at least once a week to go into a health food store or a large grocery store and buy a new vegetable that you have no idea what it tastes like, or what to do with it. Maybe you can’t even pronounce its name! Bring it home, research some recipes online, and try it out. It may be your new favourite food! Maybe try Asian daikon in stir fry, or get wild and try different types of chili peppers in a homemade salsa. Food can, and should be, a fun adventure. By consuming many of your vegetables raw, you will be assured that you are getting a tonne of nutrients and loads of fibre. Plus, could you ask for anything easier than a raw vegetable diet when it comes to food preparation? Keep some cut up carrots or peppers in the refrigerator to have on hand for a healthy snack or to dip into hummus. Some people find that they begin to love popping ripe, fresh cherry tomatoes almost as though they were a candy. There are many ways to get an adequate amount of raw veggies. However, just munching on raw veggies all the time will eventually bore you, no matter how healthy a choice it is. Create exciting vegetables salads or look into getting some of your veggie intake by way of green smoothies or juicing the veggies. You may be surprised what delightful and delicious creations you can make. Try carrot and ginger juice for a sweet and colorful drink with some zing. After including more raw veggies in your diet for a week or so, you may find that your digestive system functions more smoothly, you have more energy, you have lost some unwanted weight, any skin issues begin to clear up and overall you feel great for having taken control of your health. Be careful! Choosing healthy eating and including a tonne of the best vegetables for dieting in your meals and snacks may become addictive. There’ll be no going back to your old sluggish ways!